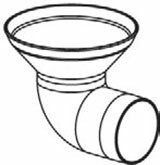 You are buying the SleepStyle 600 CPAP Series Water Funnel Fisher & Paykel 900HC627, manufactured by Fisher & Paykel. Fisher & Paykel is a leading manufacturer of CPAP Machines and CPAP accessories. At ADW Diabetes, we offer the complete product line by Fisher & Paykel with great savings and excellent service. You are buying the SleepStyle 600 CPAP Series Water Funnel Fisher and Paykel 900HC627, manufactured by Fisher and Paykel. Fisher and Paykel is a leading manufacturer of CPAP Machines and CPAP accessories. At ADW Diabetes, we offer the complete product line by Fisher and Paykel with great savings and excellent service. The SleepStyle 600 CPAP Series Water Funnel is used to assist in the cleaning and rinsing of the Heated Hose and ThermalSmart Hose.